The UK’s first Refugee Week took place in 1998. 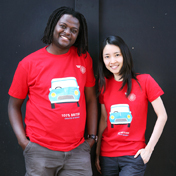 The first World Refugee Day (20thJune) followed shortly afterwards, in 2001. It was also around this time that Britain’s asylum system mutated, via various pieces of legislation, into the one that we know and experience today. It was Blair’s New Labour government in the ‘90s that oversaw the introduction of the routine detention, dispersal and other hostile policies we’re now all too familiar with. But it wasn’t just the law that changed in the ‘90s; refugee arrivals to the UK also shifted dramatically. After World War Two, refugees usually arrived in the UK as groups, through government-approved schemes, which came with a level of formal support. But after the Cold War, more people started to seek protection in the UK on an individual basis (76,040 individual asylum applications were made in 2000, compared to only around 300 per year in the late 1970s), and for this there was less official support available. In response to the changing landscape of asylum in Britain, individuals, faith-based and political groups, local voluntary organisations and larger non-governmental actors needed to expand their scope and adapt their expertise to meet the needs of a new generation of asylum seekers. These voluntary groups also needed to respond to the rapidly changing global trends that determined where displaced people were arriving from, and in turn the linguistic or cultural assistance required. Many refugees in the ‘90s arrived from Europe. In 1999, 40% of asylum applicants were from Europe, 30% from Asia and 26% from Africa – most commonly former Yugoslavia, Somalia, Sri Lanka, Afghanistan and Turkey.In the 2000s, more arrivals came from further afield. By 2016, during what has questionably been called the “refugee crisis” (asylum applications actually fell in the UK at this time; applications in 2016 only amounted to around 1/3 of those received in 2002), almost 90% of asylum seekers came from Asian and African countries, most commonly Iran, Pakistan, Iraq, Afghanistan and Bangladesh. To paint a fuller picture of British attitudes towards refugees and asylum seekers in recent history, we must understand how refugee aid, advocacy and activism have grown and transformed over the past few decades, as well as over the past few centuries. We need to analyse how the voluntary sector has developed in response to often-punitive government policies, often-negative media representation and often-suspicious public opinion. This is what our ‘Aid, Advocacy and Activism’ Refugee Week series set out to do. 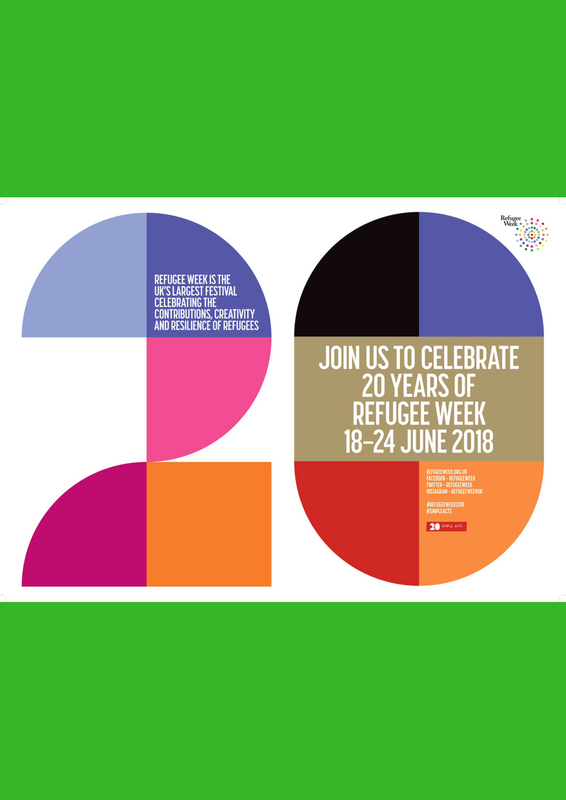 UEA Refugee History, alongside a wide range of contributors, put together 10 Articles for 20 Years for its Refugee Week 2018 Aid, Advocacy and Activism series. Short descriptions of each article can be found below; or follow the links to read each article in full. Like all socially engaged history, an important part of charting refugee history is investigating whether what is happening now has happened before, and if so, what we can learn from the past to help us decide how to tackle these issues in the present. You probably rememberAquarius– the rescue boat that was refused permission to dock in Italy just before Refugee Week this year. Here, Katy Budge explains that this kind of thing has been happening for decades. She argues that the problem won’t go away until the requirement to rescue at sea is accompanied by a requirement for states to disembark refugees. Even though animals are often crucial to the livelihoods of displaced people today, very little research has been done so far on animals in refugee camps. This article is one exception. By looking at the role that animals played 100 years ago in a refugee camp in Iraq, Benjamin Thomas White considers what kinds of places refugee camps are today, how they work, and how they are represented by residents and onlookers. When Australia temporarily took in 4000 Kosovar refugees in 1999, Albanian-speaking volunteers were needed to provide translation and other support. One of these volunteers, Seide Ramadani, speaks to Rob Carr about the crucial role that young, inexperienced, volunteers like herself played in Australia’s ‘Operation Safe Haven’ evacuation programme. Christian Oster, who was an aid worker in Kukes refugee camp in Albania, speaks to historian Rob Carr about NATO’s arrival in Kosovo in 1999. Together, they pick out some lessons for today, firstly about the role of photography in understanding and interpreting refugee history, and secondly about the management of refugee camps by international NGOs and UN agencies. 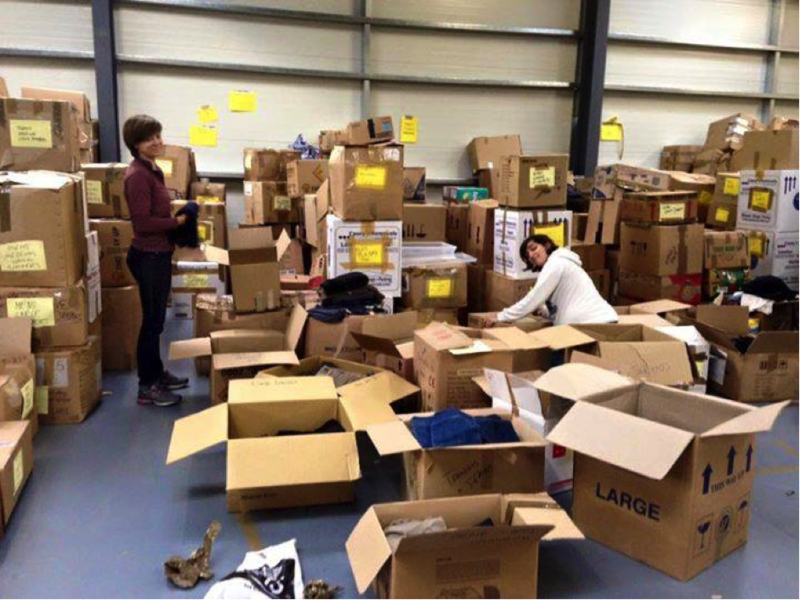 As Refugee Week itself confirms, voluntary grassroots work with refugees has formed a central part of refugee and asylum seeker provision over the past 20 years in the UK. We must recognise and appreciate the diverse efforts made by these groups, while remembering that we still have a long way to go. Tess Berry-Hart of Calais Action discusses the ‘people to people’ grassroots aid movement that sprang up in the UK in 2015 in response to the so-called refugee crisis. She describes the vital role that spontaneously-formed charities and solidarity groups played, particularly in Calais, and highlights the successes, limitations and future challenges that these aid and activist groups have faced and will face. The University of East London, which has been home to the Refugee Council Archive since 2002, has pioneered programmes that provide meaningful support and opportunities for refugees and asylum seekers. These include research programmes, civic engagement projects and higher education accessibility schemes. Perhaps UEL could be an example for other universities to follow? Launched in 1994, Student Action for Refugees will be reaching its 25-year milestone next year. STAR’s deputy director Emily Crowley reflects on the origins and history of the organisation, and on some of its achievements to date. She also outlines STAR’s current campaigns and future plans. The desire to support refugees in the UK by providing aid and showing solidarity is by no means new. In order to understand the situation of refugee aid, advocacy and activism in the UK today, it is useful to compare it to Britain’s approach to refugees throughout history. Refugee History has developed open access resources to help understand who sought refuge in the UK in the last 400 years and why, how the British government responded, and how local and national groups tried to make the situation better for those looking for protection. These resources can be downloaded and used as educational tools. The ways that people show solidarity with refugees, and the kinds of support that is required, have changed a lot over time. The act of providing voluntary aid to refugees, however, has a long history. Here, we look at four different periods in the 20thCentury when voluntary aid groups played an important role in the UK’s history of taking in refugees. This interactive timeline provides an overview of the major refugee groups that have entered the UK, all the way from the 1600s to the 1990s. It explains how many people arrived, why they needed to leave their country of origin, and how these groups were received by the British government and its subjects. Refugee History are very grateful to our contributors for making this series so rich and diverse. If you’d be interested in contributing to Refugee History on this topic or would like to find out more about our work, please contact info@refugeehistory.org. Join our mailing list through the subscribe option at the bottom of our website pages.